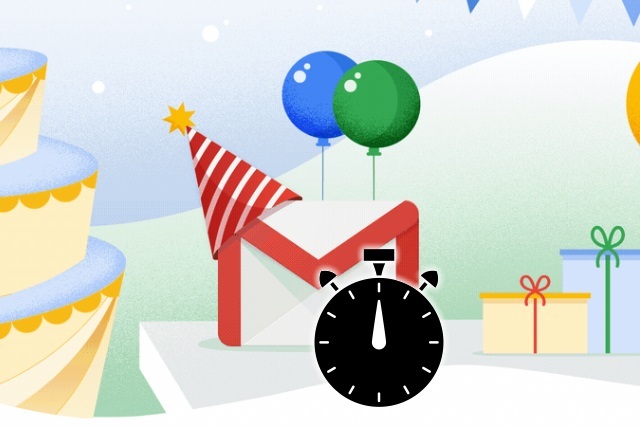 It seems hard to believe, but Gmail has now been with us for 15 years. To celebrate a decade-and-a-half of existence, Google has added a handful of new and improved features to it. Smart compose has been updated and expanded to more devices and languages, and it has also been made smarter with AI-powered personalization. But the star of the show is email scheduling, something people have been asking for for years. Here's how to use it. Announcing the new feature, Google says that "you can decide when your email gets delivered to someone else's inbox". The company goes on to say that it has "added a new feature that lets you schedule email to be sent at a more appropriate date or time, which is helpful if you're working across time zones, or want to avoid interrupting someone's vacation". In the mobile app, you can compose an email and then click the Settings menu. From here, you can select the "Schedule send" option before choosing when the message should be sent. On the desktop, you can compose an email and then click the little arrow to the right of the Send button. From the menu that appears, you can select the "Schedule send" option before specifying the date and time. It is possible that you won't see these options straight away. You may need to install an updated version of the iOS or Android app, and you may need to wait for the feature to be enabled in your account. Google hasn't given any indication of rollout times, so just be patient if you don't see it yet.